Junior World Rally Championship turns to French power for the next two years, FIA announced today. Citroën DS3 R3T turbocharged front wheel drive car became the exclusive weapon of choice for crews and teams wishing to compete in this particular category. All cars will be factory prepared to set standards and rules and all teams will use Michelin tyres and fuel supplied by the FIA’s partner in crime. FIA claims this step is going to make JWRC even more accessible… no, hold on, that’s not true. The exact phrase they used is “The Junior WRC Championship (notice something funny here, teehee) is designed to be an accessible and cost-effective first step on the ladder for aspiring youngsters”. Accessible it may be, for youngsters as well (seeing the age limit is 26 and below) but is it cost-effective? Immediately after the news broke out Twitter saw some short but interesting exchange of information and opinions. One of the most popular topics was the price of the new JWRC package, and according to several tweets, the figures jumped up quite drastically for the next two years. Or not, depending on how hard it is for you, aspiring youngster, to find additional few grands, times ten, and in British currency. But wait, when was the last time rally and motor sports in general were “cost-effective”? Exactly, you cannot actually remember, even though a long, long time ago in a galaxy far, far away things might have been a bit different. Official text of FIA’s press release follows. The FIA is pleased to announce that Citroën Racing will become the exclusive supplier of cars for competitors in the 2014 and 2015 FIA Junior WRC Championship. 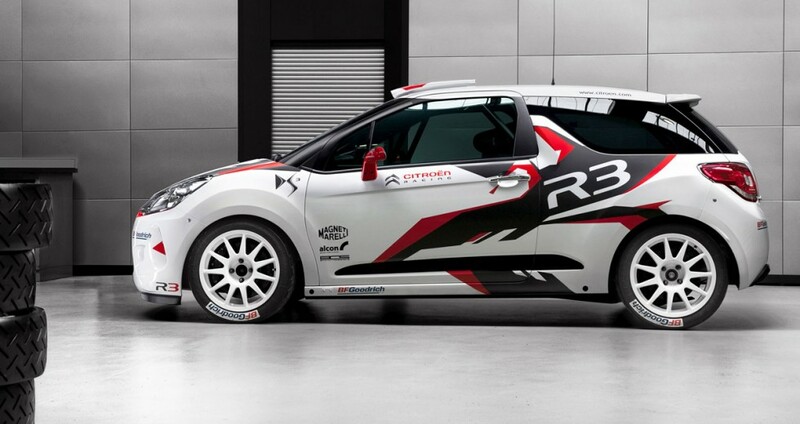 The identically-prepared Citroën DS3 R3Ts will all run on Michelin tyres and fuel from the FIA’s designated supplier. The Junior WRC Championship is designed to be an accessible and cost-effective first step on the ladder for aspiring youngsters under the age of 26, its single-make formula providing an equal opportunity for all the contenders. The 2014 FIA Junior WRC Championship will be contested over six European rounds of the FIA World Rally Championship, with drivers counting all scores towards the Championship title. The Champion will be given the opportunity to contest six events in the 2015 FIA WRC 2 Championship driving an R5 car. Next story Do you remember when… Subaru (sort of) announced they were going to return to WRC in 2014?